My favorite transformation is definitely Enchantix! I always loved Enchantix because it looks super cool, yet very fairy like! Also, I love the way the Winx have to earn it, through sacrifice! That was such an amazing idea on Rainbow's part! My Favorites are Magic Winx(RAI ENGLISH VERSION) And Lovix. Has to be Enchantix! It's so fairy like and is possibly the strongest! All transformations are absolutely amazing. But I rather prefer Harmonix. 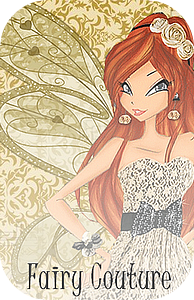 Harmonix is more beautiful and it really shows more of the girl's inner beauty. I don't understand one thing though. So Daphne was cursed by the power of Sirenix, right? And she turned into the spirit she is right now. So I am assuming that was how her Sirenix looked. The Winx's Sirenix outfits look so much alike but are far different from Daphne's transformation. I'm guessing that's just her outfit as a nymph and her Sirenix outfit is more fun-like. ^That confused me too. I wonder if she has an actual costume like the Winx. Also my favorite would be Enchantix because I like how each individual girl made their own sacrifices, it was more personal/meaningful. Also it is the most like a traditional fairy. I think Harmonix would come in second in appearance. I don't really have one. They're all awesome so I can't really choose one, lol.